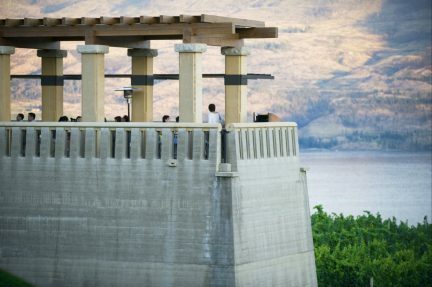 View from Miradoro Restaurant overlooking Tinhorn Creek’s amphitheatre. 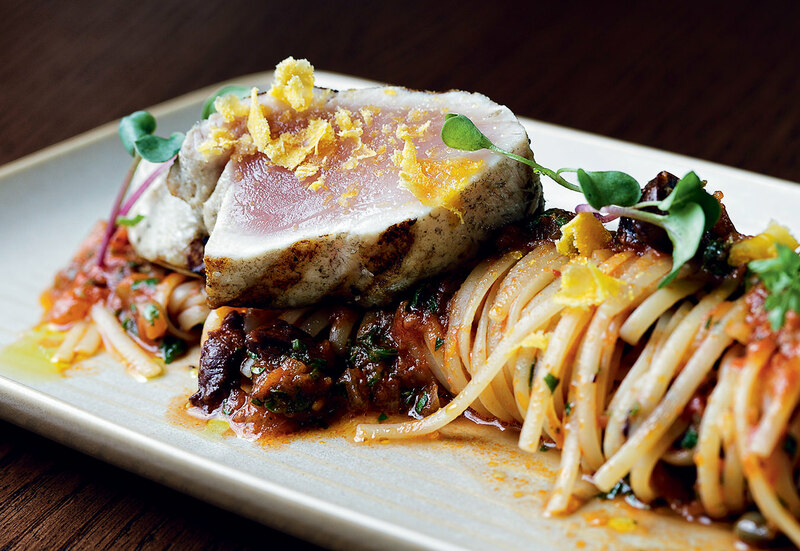 Albacore tuna on linguini putanesca. 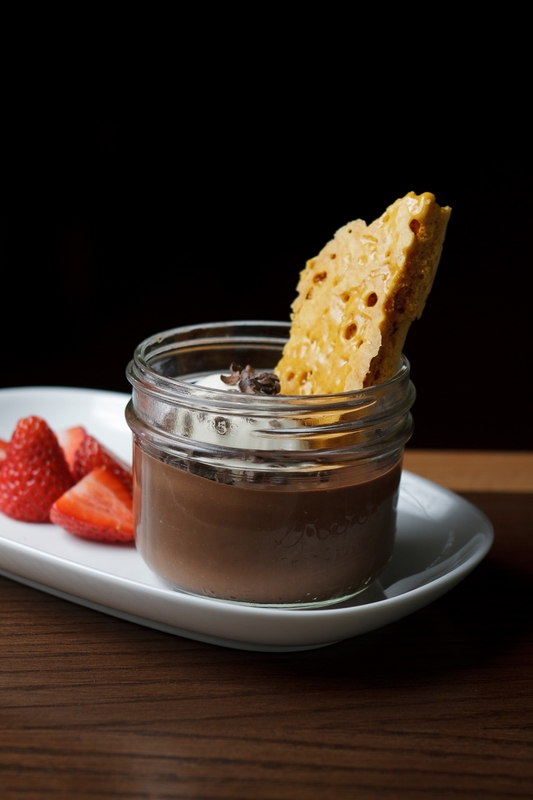 Chocolate bodino with sponge toffee. 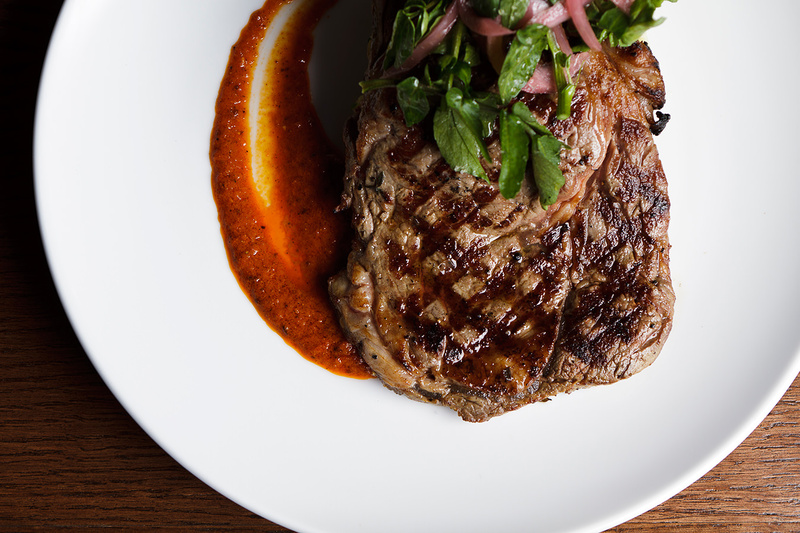 Grilled rib steak with watercress and harissa. Just what is it that makes us “up-stakes” and move on—especially from urban life to the greener grass of the country? While it may not become a torrent, a steady stream of Vancouver chefs continues to opt for smaller communities. When Jeff Van Geest went looking to escape Vancouver, it was at the end of a brief tenure as restaurant chef at Diva at the Met. Van Geest, who honed his skills with John Bishop before opening his popular but short-lived Aurora Bistro, had emerged as a chef grounded in the regional-sustainable movement and was looking to explore that mantra with his family on a much larger level. 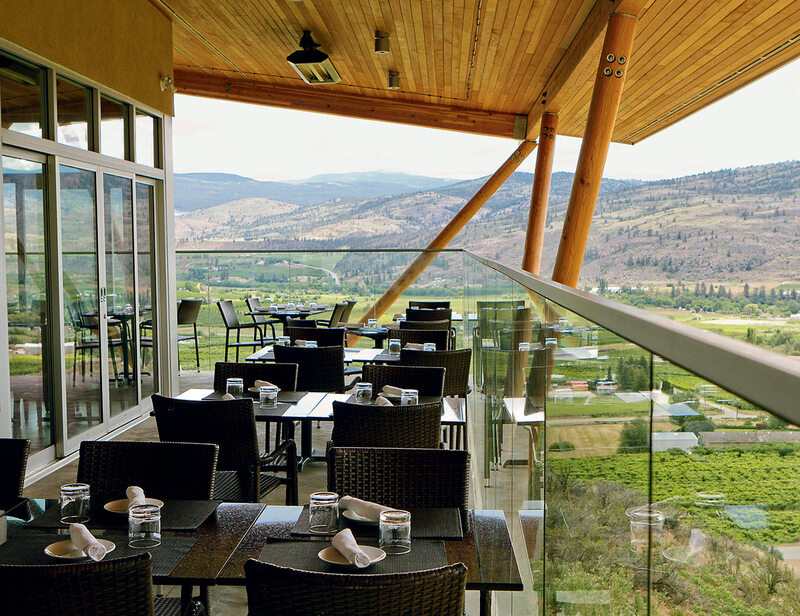 “I was frustrated in not finding the right fit,” says the chef, who eventually landed at Miradoro, the award-winning restaurant at Tinhorn Creek Vineyards that’s awoken Oliver and the South Okanagan from its culinary slumber. More than just a happy ending, the launch of Miradoro proved to be the natural continuation of a journey interrupted—a natural outlet for the passions of B.C. 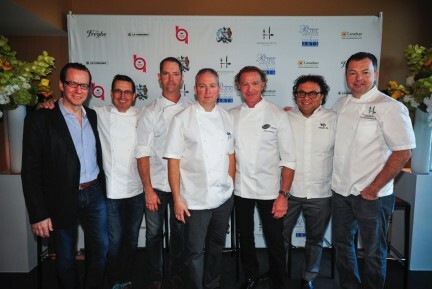 food and wine born of Bishop’s and Aurora Bistro. It all proved a solid foundation, one that’s been integral to Miradoro’s early success. 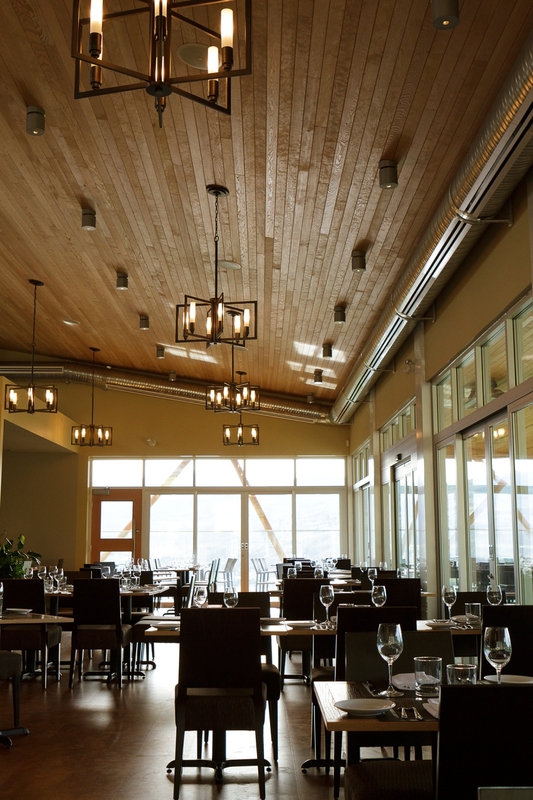 Thanks to experience gained at Aurora Bistro, Van Geest thinks about wine intuitively. 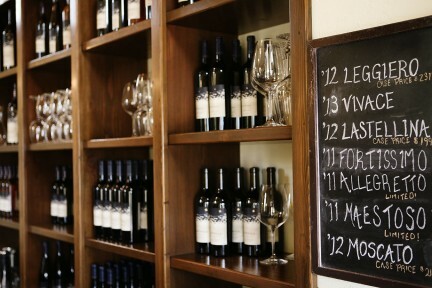 It’s crucial, as his menu must double as a canvas for all the winery’s releases. 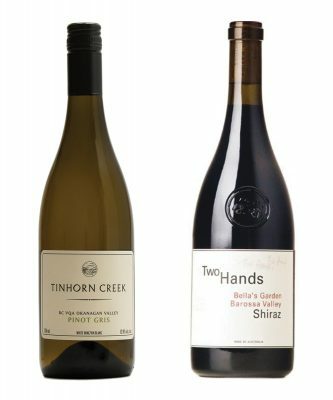 Hence, every dish meets a different match, from starters of fresh shucked Kusshi oysters (perfect with the citrus-toned Tinhorn Pinot Gris) or a locally-sourced green salad (sometimes with smoked oyster bacon) teamed up with Tinhorn’s gente rose petal and ginger–toned gewürz. Van Geest teases local quail with quince marmalade and prosciutto to pair with the Oldfield Series Pinot Noir, while more rustic beef tongue pastrami tangles with fermented cabbage, wild mushrooms, and bone marrow emulsion, to show off the flagship Oldfield Series Merlot. “I like to toy with flavours, combining ingredients that speak to the area, that aren’t necessarily what people would expect, but maybe a little bit playful,” Van Geest says. For the valley at large, it pleases him to see the level of dining catching up to the more mature wine industry. But he’s also waiting for the day when—beyond those “glass castles on the hill”—there’ll be more casual haunts, like a little wine bar on Oliver’s Main Street. “We’re in our infancy but it’s still pretty impressive what we’ve achieved,” he reckons. When not busy in Miradoro’s kitchen, Van Geest is uncovering what he admits is an elusive Okanagan culture. “It wasn’t really apparent until we arrived in the valley,” he says, who revels in foraging or fishing with the family and passing those skills on to his young sons. “I wasn’t surprised by the farming, and we used to go mushroom hunting in Vancouver, but now we do so much more and find all kinds of things.” He also remarks on how satisfying it’s been to discover that many people are still in touch with their food. “I’m seeing that way of doing things is still very much alive, from canning to hunting, preserving, gardening—right down to stills in garages. People are doing it for themselves, and I love that,” Van Geest says.